Old Number 1, The Walter E. Disney, is known as a ten-wheeler. It has four wheels at the front of the engine, six in the middle and none at the rear(4-6-0). Built by the Baldwin Locomotive Works of Philadelphia, Pennsylvania, in 1925, the locomotive that later became the Walter E. Disney worked as number 274 on the United Railways of Yucatan, Mexico. Years later, Imagineer Roger Broggie went searching for existing narrow gauge steam engines that could be converted to the exacting standards required for a Disney theme park attraction. In 1969 he found what he was looking for in a railway equipment boneyard in Merida, Mexico. He shipped the engine to Florida where it was reworked, refurbished, and rechristened with a new name and number. Walter E. Disney Number 1. Walt Disney was a dreamer. As a boy, he traveled the rails of the Missouri Pacific Railroad selling newspapers and candy to the passengers. His older brother Roy and his Uncle Mike Martin obtained employment with the Santa Fe Railroad and Walt dreamed of becoming an engineer. His future took a different path, but his love of railroading never diminished. In the late 40's, with Walt Disney Productions a very successful venture, he focused on building his own railroad, the Carolwood Pacific a 1/8 scale live steam railway that traveled over 2,600 feet of track around his backyard. This miniature railroad served as the model for the Disneyland Railroad and the inspiration for the Walt Disney World Railroad. In 1804, mechanic Richard Trevithick first introduced steam power to the railways of England. By 1830 the United States had also embraced the concept of travel by rail. Within forty years, on May 10, 1869 the Atlantic and Pacific coasts were linked together by a standard gauge transcontinental railroad. The narrow gauge railway came into its own with the desire to run trains north and south, as well as east and west. Because narrow gauge track is only 3 feet wide, compared to a standard gauge of 4 feet 8 -1/2 inches, narrow gauge locomotives and cars are smaller, making them lighter and less expensive to build. Of even greater importance are the narrower roadbeds which are easier to lay along sheer rocky chasms and treacherous, turning mountain slopes. Surprisingly, Florida is not as flat as it sometimes appears and WDW Railroad has to deal with grades of up to two percent. 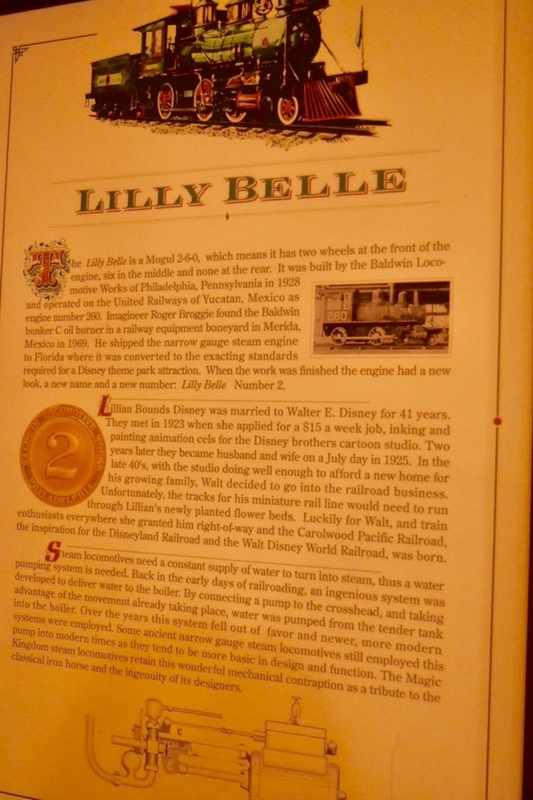 The Lilly Belle is a Mogul 2-6-0, which means it has two wheels at the front of the engine, six in the middle and none at the rear. It was built by the Baldwin Locomotive Works of Philadelphia, Pennsylvania in 1928 and operated on the United Railways of Yucatan, Mexico as engine number 260. Imagineer Roger Broggie found the Baldwin bunker C oil burner in a railway equipment boneyard in Merida, Mexico in 1969. He shipped the narrow gauge steam engine to Florida where it was converted to the exacting standards required for a Disney theme park attraction. When the work was finished the engine had a new look, a new name and new number. Lilly Belle Number 2. Lillian Bounds Disney was married to Walter E. Disney for 41 years. They met in 1923 when she applied for a $15 a week job, inking and painting animation cels for the Disney brothers cartoon studio. Two years later they became husband and wife on a July day in 1925. In the late 40’s, with the studio doing well enough to afford a new home for his growing family, Walt decided to go into the railroad business. Unfortunately, the tracks for his miniature rail line would need to run through Lillian’s newly planted flower beds. 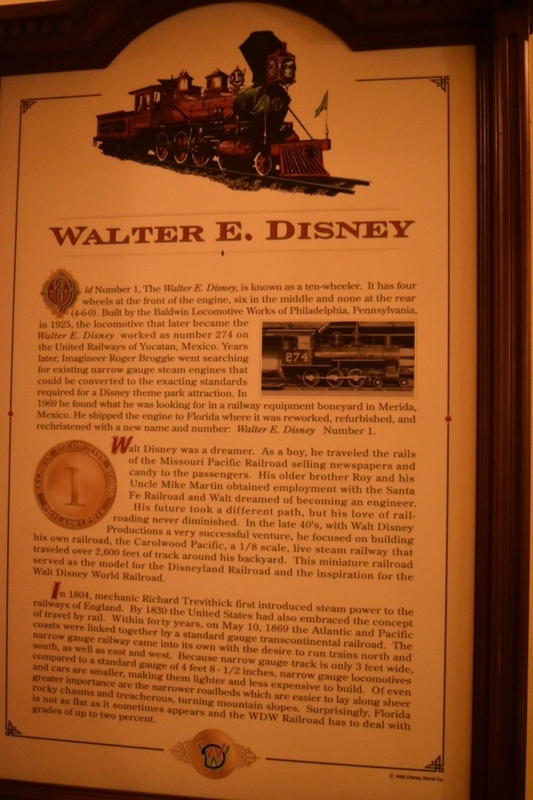 Luckily for Walt, and train enthusiasts everywhere she granted him right-of-way and the Carolwood Pacific Railroad, the inspiration for the Disneyland Railroad and the Walt Disney World Railroad, was born. Steam locomotives need a constant supply of water to turn into steam, thus a water pumping system is needed. Back in the early days of railroading, an ingenious system was developed to deliver water to the boiler. By connecting a pump to the crosshead, and taking advantage of the movement already taking place, water was pumped from the tender tank into boiler. Over the years this system fell out of favor and newer, more modern system were employed. Some ancient narrow gauge steam locomotives still employed this pump into modern times as they tend to be more basic in design and function. The Magic Kingdom steam locomotives retain this wonderful mechanical contraption as a tribute to the classical iron horse and the ingenuity of its designers. Like its counterpart, the Walter E. Diseny, the Roger E. Broggie is a ten-wheeler. It has four wheels at the front of the engine, six in the middle and none at the rear(4-6-0). It came out of the Baldwin Locomotive Works of Philadelphia, Pennsylvania in May 1925, destined for the jungle of Mexico as engine number 275. In 1969, its namesake, Imagineer Roger Broggie, found it discarded and abandoned in the bone yard of a Yucatan railroad equipment storage area. Walt Disney had personally authorized the construction of the Walt Disney World Railroad in Florida. Roger Broggie suggested using existing narrow gauge steam engines that could be converted to his exacting standards, rather than building new trains, as they had for the opening of Disneyland. When Roger found what he was looking for in Mexico, he shipped engine number 275 to Tampa, Florida. Veteran machinist George Britton took possession of the train and transformed it into the Roger E. Broggie Number 3 under the direct supervision of its namesake. 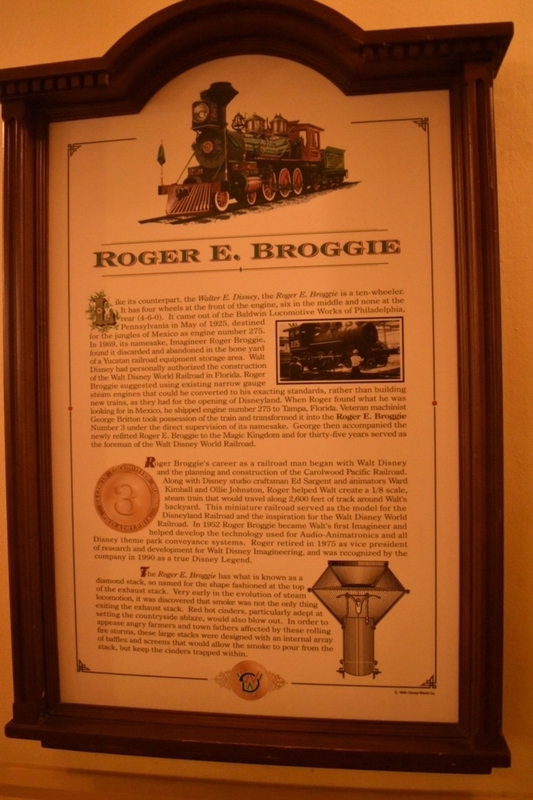 George then accompanied the newly refitted Roger E. Broggie to the Magic Kingdom and for thirty-five years served as the foreman of the Walt Disney World Railroad. 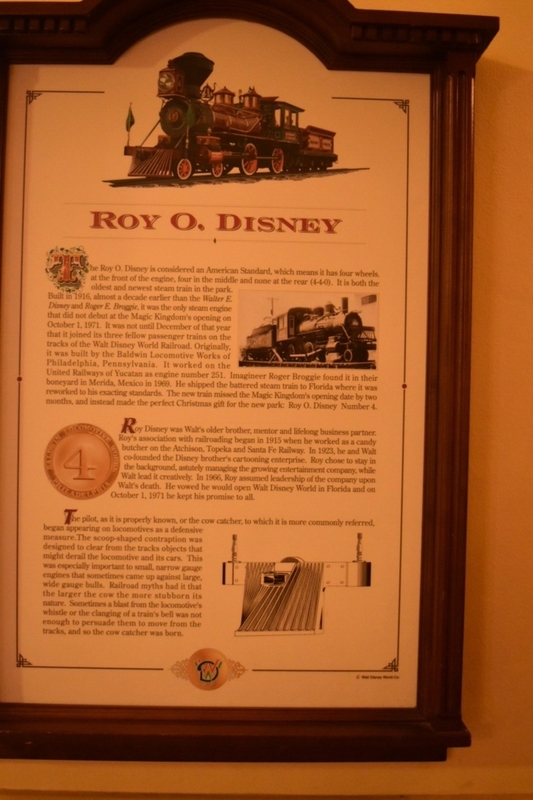 Roger Broggie's career as a railroad man began with Walt Disney and the planning and construction of the Carolwood Pacific Railroad. Along with Disney studio craftsman Ed Sargent and animators Ward Kimball and Ollie Johnston, Roger helped Walt create a 1/8 scale, steam train that would travel along 2,600 feet of track around Walt's backyard. This miniature railroad served as the model for the Disneyland Railroad and the inspiration for the Walt Disney World Railroad. In 1952 Roger Broggie became Walt's first Imagineer and helped develop the technology used for Audio-Animatronics and all Disney theme park conveyance system. Roger retired in 1975 as vice president of research and development for Walt Disney Imagineering, and recognized by the company in 1990 as a true Disney Legend. The Roy O. Disney is considered an American Standard, which means it has four wheels at the front of the engine, four in the middle four and none at the rear (4-4-0). It is both the oldest and newest steam train in the park. Built in 1916, almost a decade earlier than the Walter E. Disney and Roger E. Broggie, it was the only steam engine that did not debut at the Magic Kingdom's opening on October 1, 1971. It was not until December of that year that it joined its three fellow passenger trains on the tracks of the Walt Disney World Railroad. Originally, it was built by the Baldwin Locomotive Works of Philadelphia, Pennsylvania. It worked on the United Railways of Yucatan as engine number 251. Imagineer Roger Broggie found it in their boneyard in Merida, Mexico in 1969. He shipped the battered steam train to Florida where it was reworked to his exacting standards. 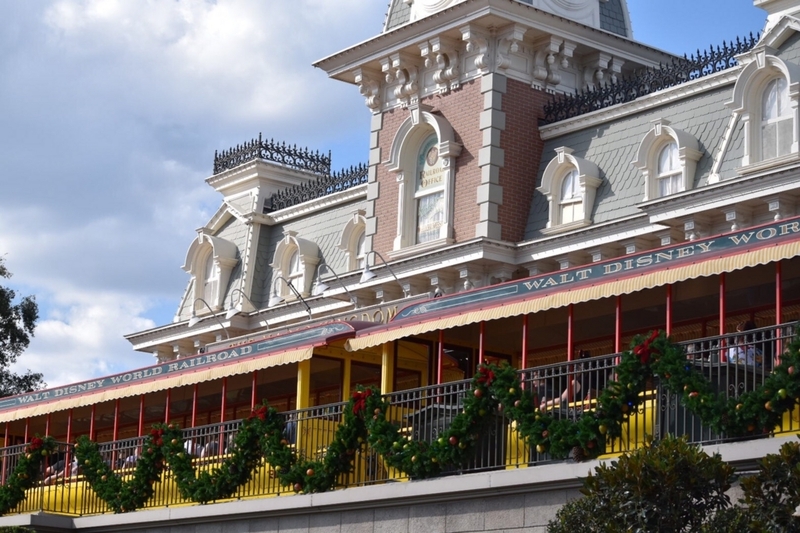 The new train missed the Magic Kingdom's opening date by two months, and instead made the perfect Christmas gift for the new park: Roy O. Disney Number 4. 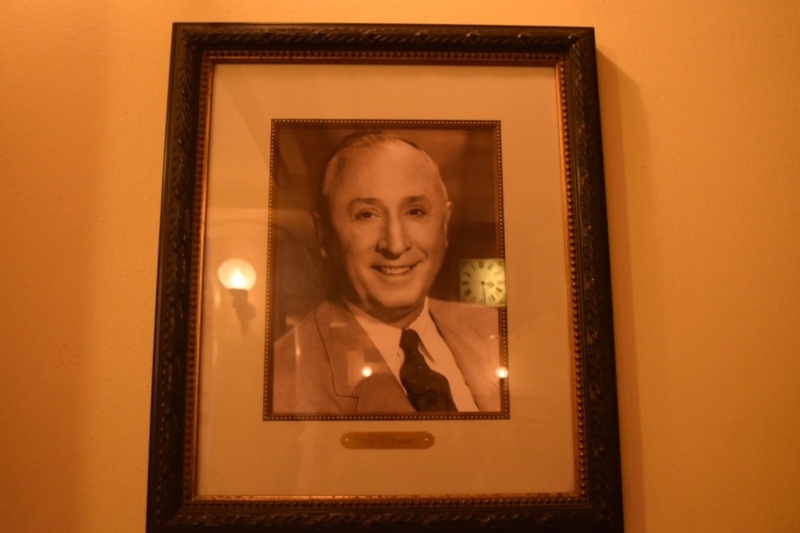 Roy Disney was Walt’s older brother, mentor and lifelong business partner. Roy’s association with railroading began in 1915 when he worked as a candy butcher on the Atchison, Topeka and Santa Fe Railway. In 1923, he and Walt co-founded the Disney brother’s cartooning enterprise. Roy chose to stay in the background, astutely managing the growing entertainment company, while Walt lead it creatively. In 1966, Roy assumed leadership of the company upon Walt’s death. He vowed he would open Walt Disney World in Florida and on October 1, 1971 he kept his promise at all. The pilot, as it is properly known, or the cow catcher, to which it is more commonly referred, began appearing on locomotive as a defensive measure. The scoop-shaped contraption was designed to clear from the tracks objects that might derail the locomotive and its cars. This was especially important to small, narrow gauge engines that sometimes came up against large, wide gauge bulls. Railroad myths had it that the larger the cow the more stubborn its nature. Sometimes a blast from the locomotive’s whistle or the clanging of a train’s bell was not enough to persuade them to move from the tracks, and so the cow catcher was born.